We can work with you to create a tablet experience that is both beautiful and intelligent. Your customer using tablets with get a tablet design that will allow they to engaged fully with your company. 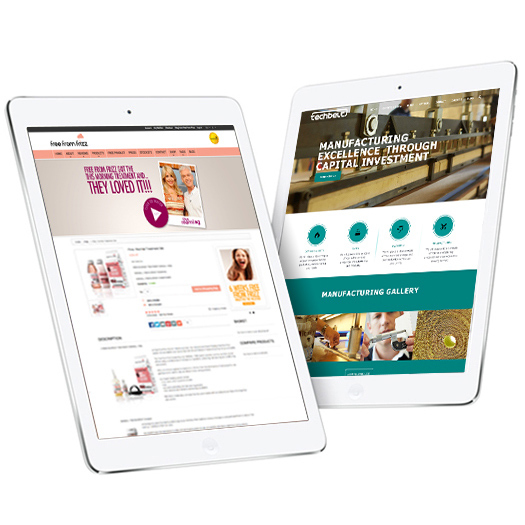 You no longer need to spend time worrying about which brand is most popular with your customers, we can create a tablet website that will work on all of the major brands. You no longer need to manage multiple sites for PC, Mobiles and Tablets - you can now have one site which changes the view depending on your device - this means you can saves time / effort when updating your website and still provide a great experience for your customers.